So Elsie (from a beautiful mess) got me thinking about what kind of goals I could make for myself this year. 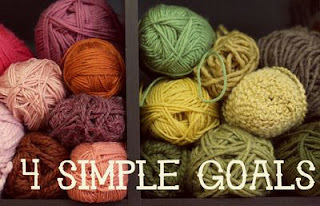 Nothing terribly difficult, but goals that will make me happier that I can try and achieve daily. I was a fiend for fillets of fish and coke. They are my mcdonalds weakness. ohh terrible fluffy bun and delicious deep fried fish square. I am so salivating right now thinking about it. Any fast food in general seems to trigger my heartburn, so I am just saying no to fast food. I either dont try or just dont put in the effort to read more. I used to devour books. I would read one a day sometimes, so I really want to get back to that. I am the ultimate slacker when it comes to reading the bible. I've tried many times to buckle down and get it all read. Its HARD. So the next time I head to chilliwack, I am off to my favourite christian book store to find a devotional book to help me with this. Shouldn't take too long, I love to visit chilliwack. Its something that I think I might be good at. I don't know if I'll have the patience for it, but its worth a shot. I believe I have a sister in law who does crochetting. I also have a friend that knits. We shall see which will win. for #1- become apart of our healthy chics blog. read books on the topic. change one thing at a time. ask people who are already doing it. blah blah blah. for #2- cancel cable if you can. tv doesn't matter if you've got the www and netfliks.... and then make a list of classics you've never read. Little women is on my list. I'm a big slacker of #3 too. But can't you find a christain store nearer you? for #4 may I suggest a scarf as a first project?....and you'll love it. If you like playing with tape then playing with yarn is just going to be another medium to use. perhaps something to go with other hats you may have ;)...oh warning...and then you'll be buying yarn all the time instead of tape. Plenty of books at the library on the how to knit genra.